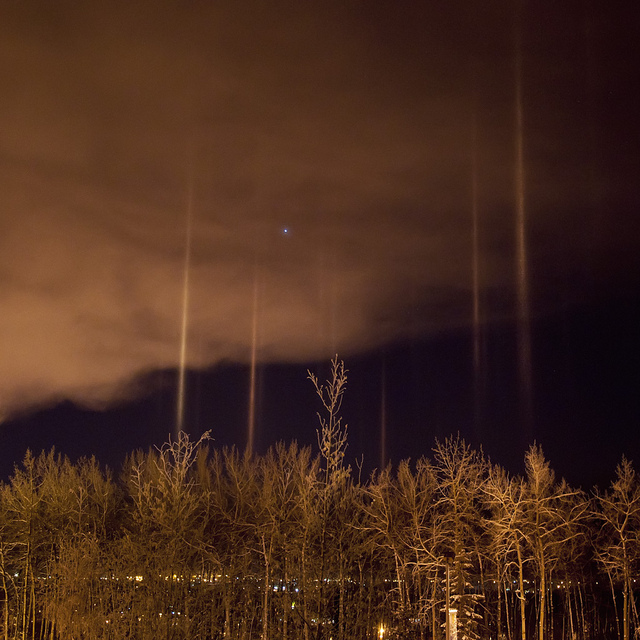 When light, either natural or man-made comes in to contact with the facets of ice crystals in the air (usually close to the ground) it does one thing: bounce. 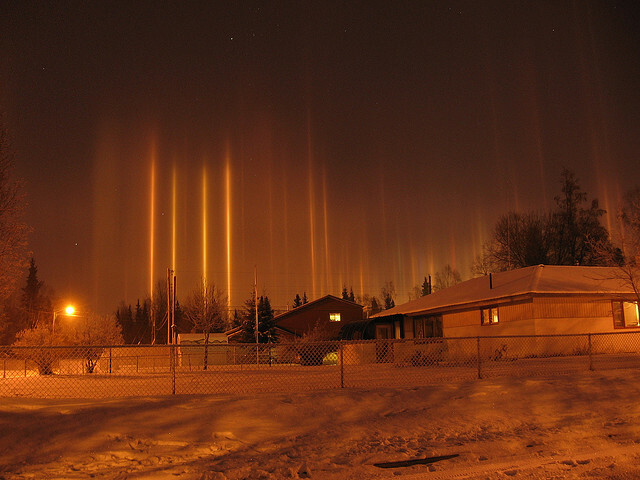 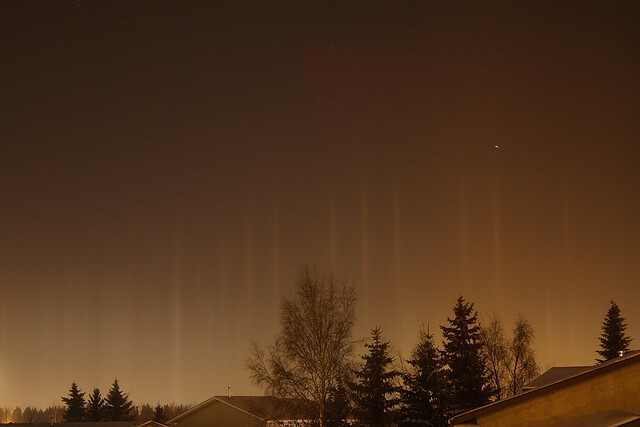 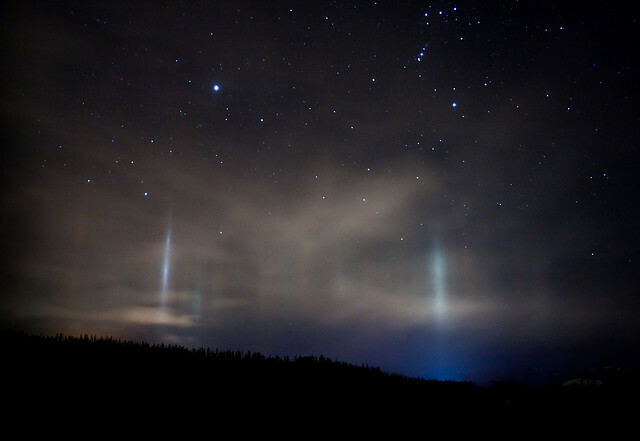 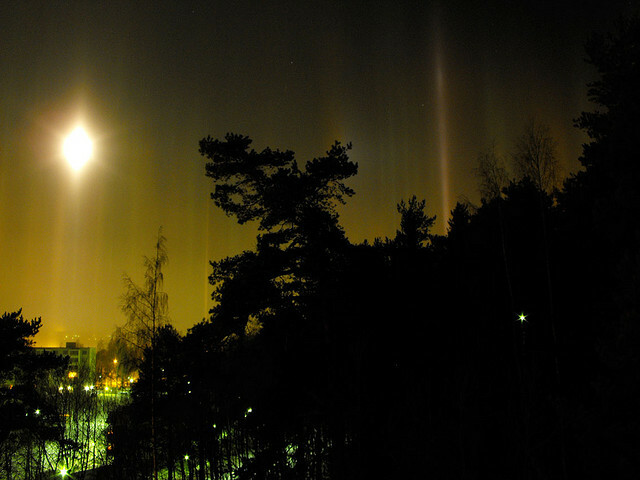 When the source of light is close to or on the ground the light pillar will appear above the floating crystals. 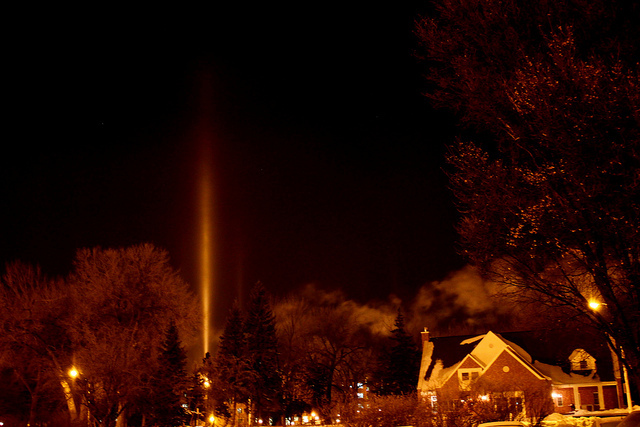 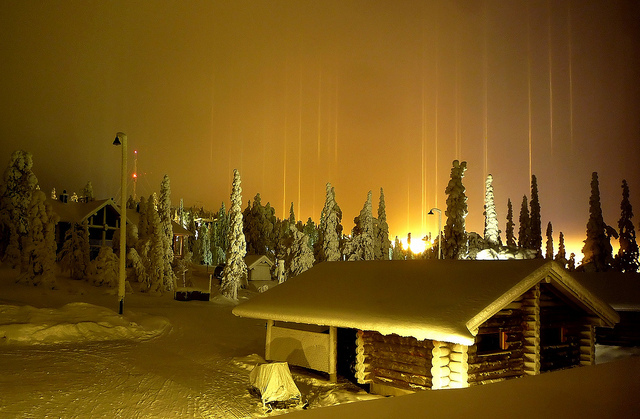 The light pillar looks like a thin column that extends vertically above and/or below the source of light and does indeed give us the impression of some sort of transportation beam coming in to effect, particularly when it is at night and the phenomenon is caused by artificial light. 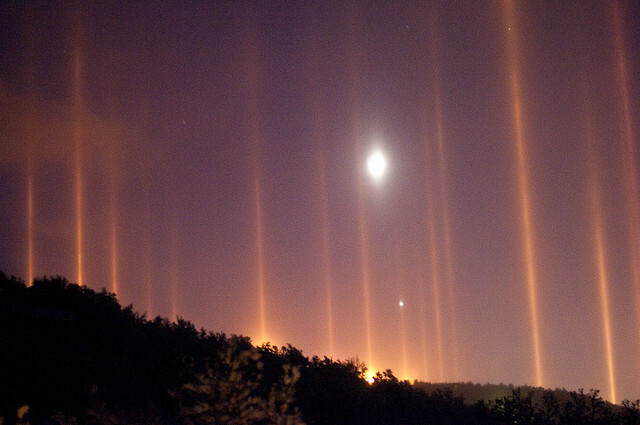 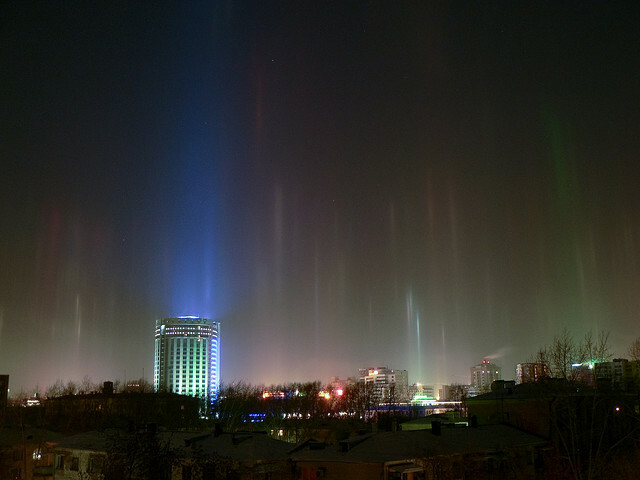 Light pillars can also be caused by light coming from the sun (where it is then called a sun or solar pillar) or the moon. 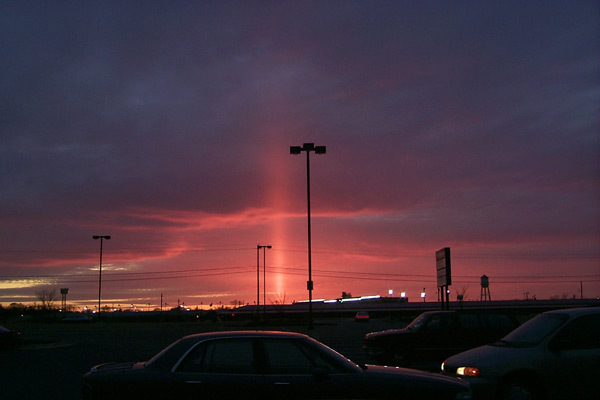 As light refracts through the crystals a pillar of light appears to us – yet depending on our perspective the pillar can appear above or below the source of light. 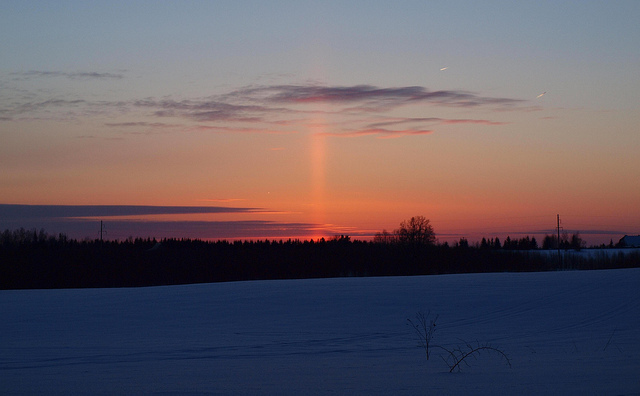 So next time you see a light pillar, don’t scratch your head and wonder whether the aliens are landing (or, like a recent movie, pulling us up and dragging our brains out of our skulls!). 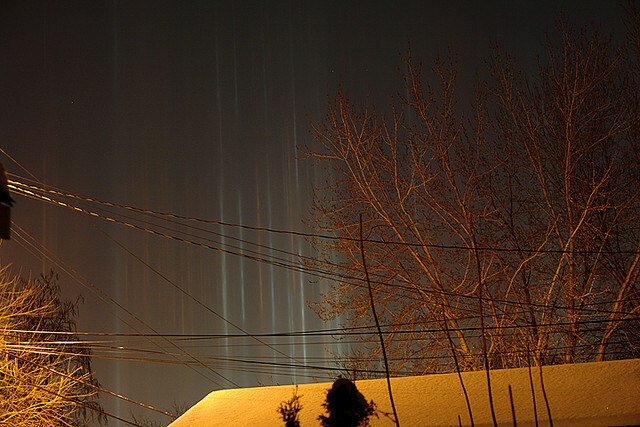 It’s just ice and light doing their thing to striking effect.